Postmates: 'America's best part-time job'? Is this 'America's best part-time job'? 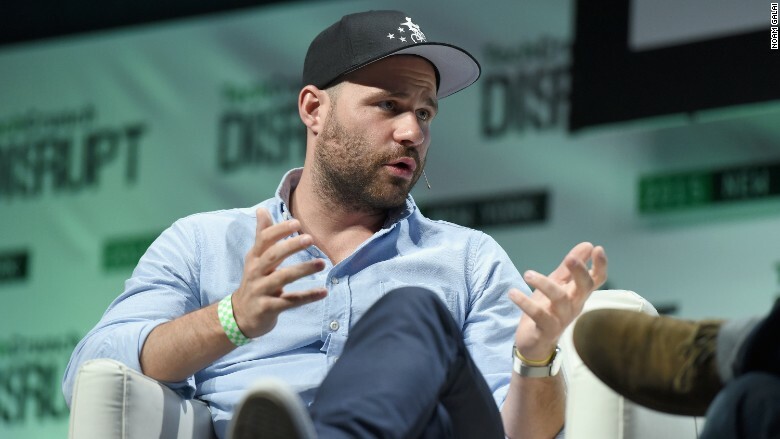 Postmates CEO Bastian Lehmann, at TechCrunch Disrupt NY. Looking for a new side-hustle to make some extra cash? You might want to consider on-demand delivery firm Postmates. "I think of Postmates as probably America's best part-time job," said CEO and founder Bastian Lehmann at TechCrunch Disrupt NY. Being a courier at the company, which promises delivery within the hour, pays "a lot more than other part-time jobs," he told attendees on Monday. "Within three years, we were able to build the largest on-demand delivery fleet," said Lehmann of Postmates' more than 10,000 couriers in 24 markets. The majority work part time for the company in addition to another job, he said. Postmates, founded in 2011, has raised $58 million in funding. Lehmann said the company may break through to profitability in 2016, "if we decide to do that." The company announced a New York City trial with McDonald's (MCD) on Monday -- which comes on the heels of a Chipotle (CMG) partnership last month. Lehmann credits the company's growth to the fact that it's been hyper-focused on food deliveries, similar to Amazon's (AMZN) early focus on books. "It allowed us to have a use case that's super compelling," he said, although deliveries aren't just limited to food. To be sure, there are a host of other on-demand startups like WunWun, Magic and Instacart, which banked $220 million earlier this year. But Lehmann said Postmates has been successful by breaking into many markets early. As for what's next, he said they're considering "a better grocery product," along with partnerships related to things like personal hygiene, healthcare and beauty.